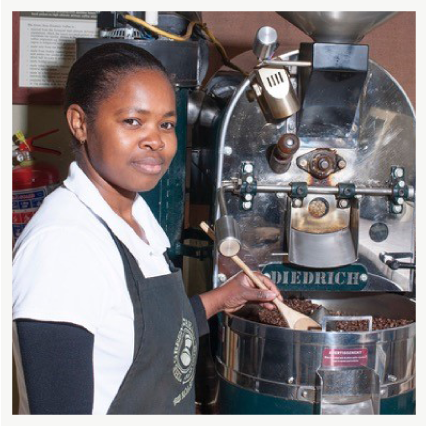 Sandra is our key roaster, who has been with Green Bean since the start. Sandra is our real backbone. She keeps us all in check, and insures that our roasted product is always of the highest quality. 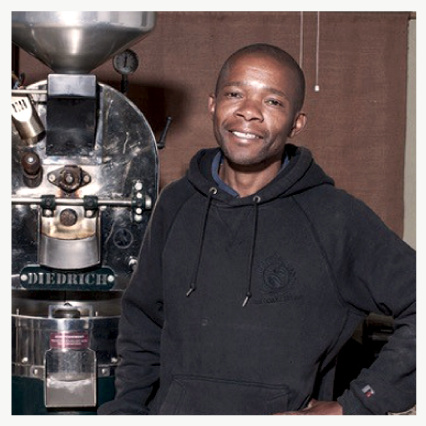 Our other key roaster – Muna has had 15 years of experience in the coffee industry, as a roaster and a barista. 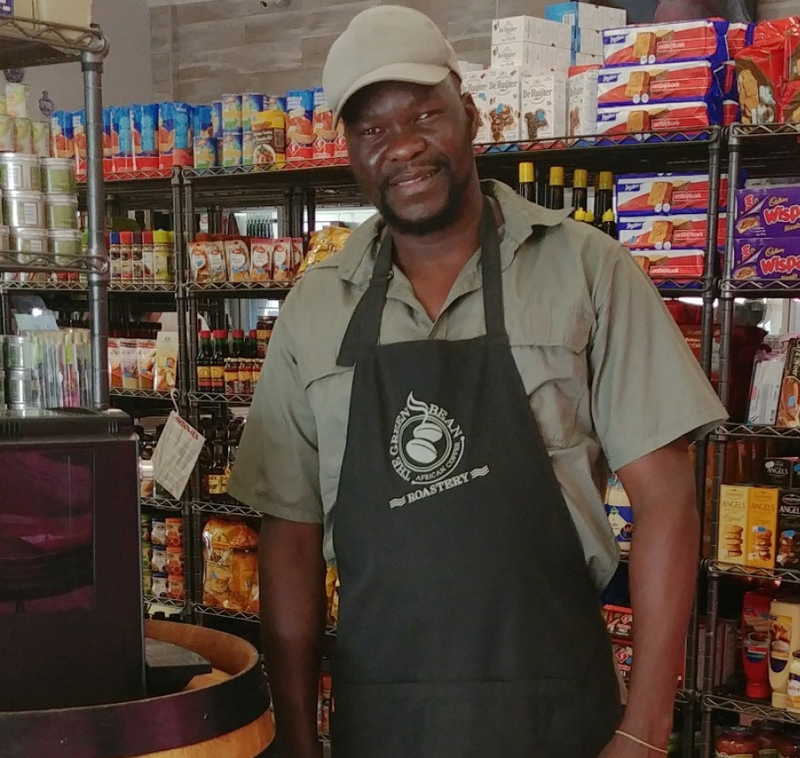 He also manages our stall at the Bryanston Market and is hugely popular with customers and fellow stallholders alike. 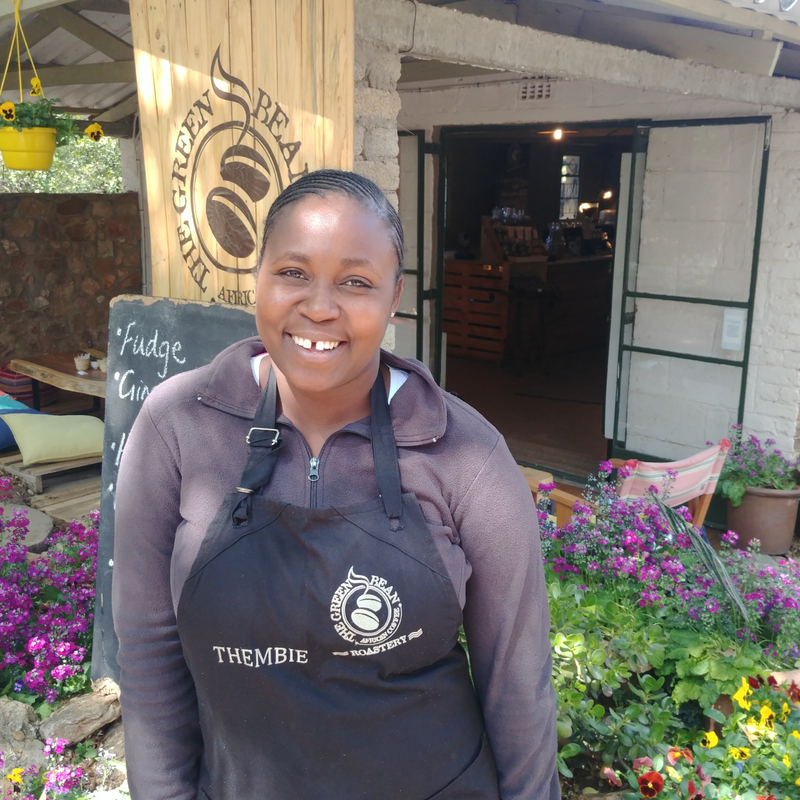 Thembie manages our deli shop. She is also a barista and knows a lot about coffee! 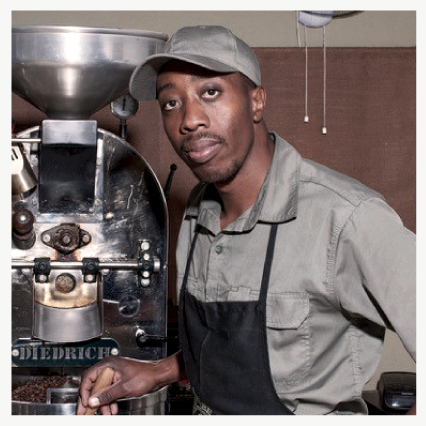 He makes the most superb cappuccinos in Africa! Lawrence is an amazing barista, and a great barista trainer. 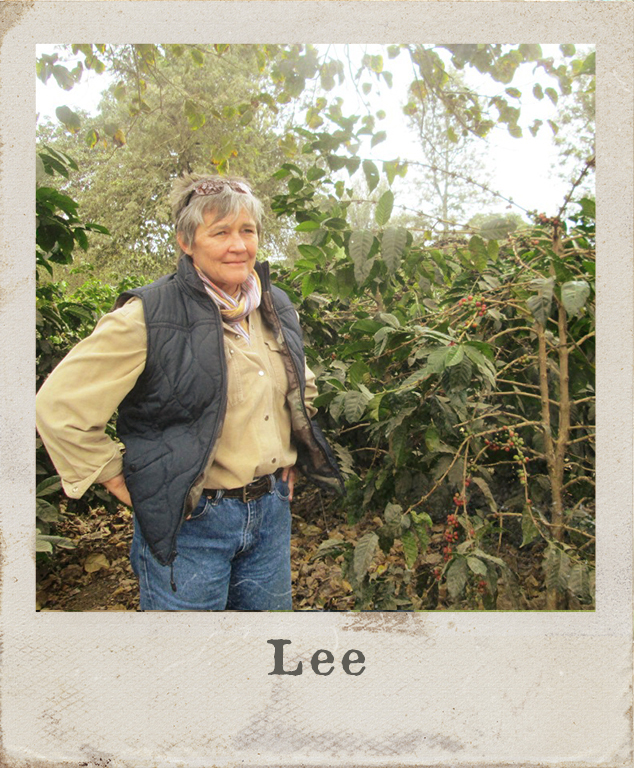 Lee sourcing coffee in Africa. Standing in front of the coffee bushes. 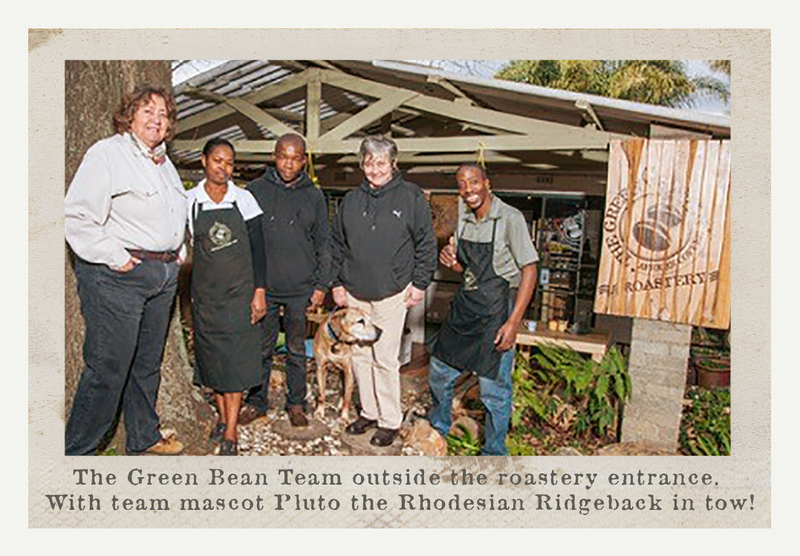 Iris McCallum and Lee Anderson are joint owners of the Green Bean Coffee Roastery. They started it in 2007, and celebrate the roastery’s 10th Birthday on 2nd October 2017. 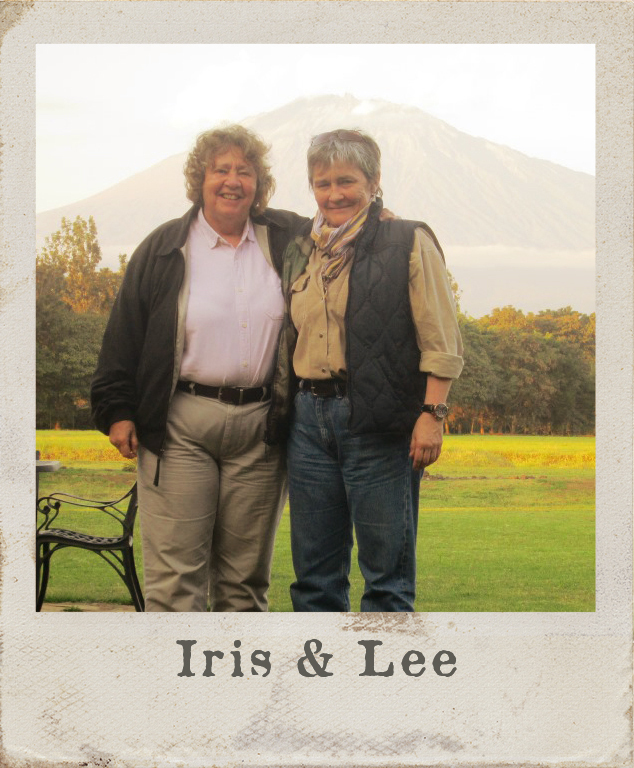 Lee and Iris in Tanzania on a coffee safari to sample Kimemo coffee. Mount Meru in the background. Iris was born in Arusha, the Coffee and Safari Capital of Tanzania. Lee hails from Zimbabwe, and was born in Zambia. 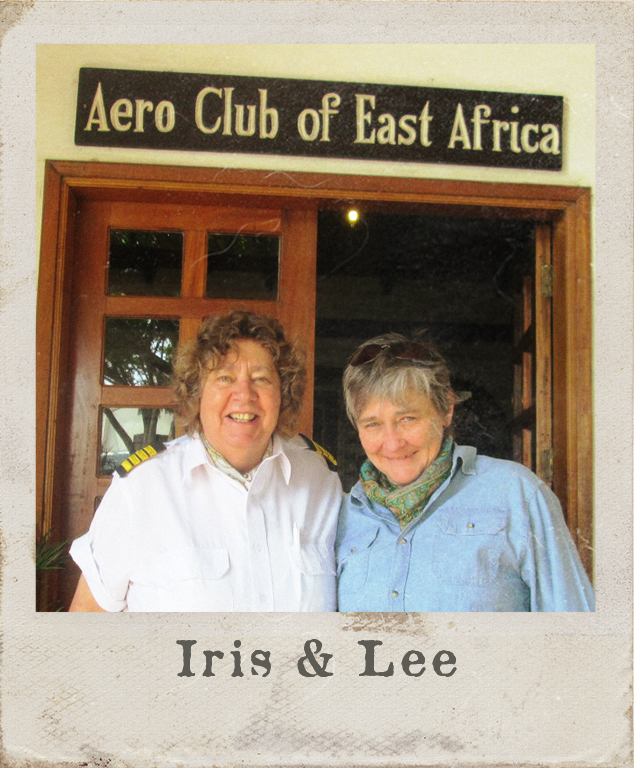 Iris and Lee in front of the Aero Club in Kenya – Iris was a top bush pilot in all the prime coffee growing areas of East Africa – Kenya, Uganda, Rwanda and Tanzania.